You can select up to 1 travelers in total. Spend a relaxing day on the Sunset Coast of Western Australia on this tour from Perth, which includes round-trip transportation. You'll be able to enjoy the tour from start to finish, taking in the scenery on the journey while someone else takes care of the driving. 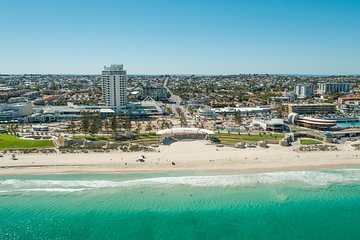 Highlights include Kings Park, a walk in the Federation Tree Top Walkway, and visits to Scarborough Beach, City Beach, and Cottesloe Beach. Along the way, you'll enjoy in-depth commentary from your guide on the region's culture and history.